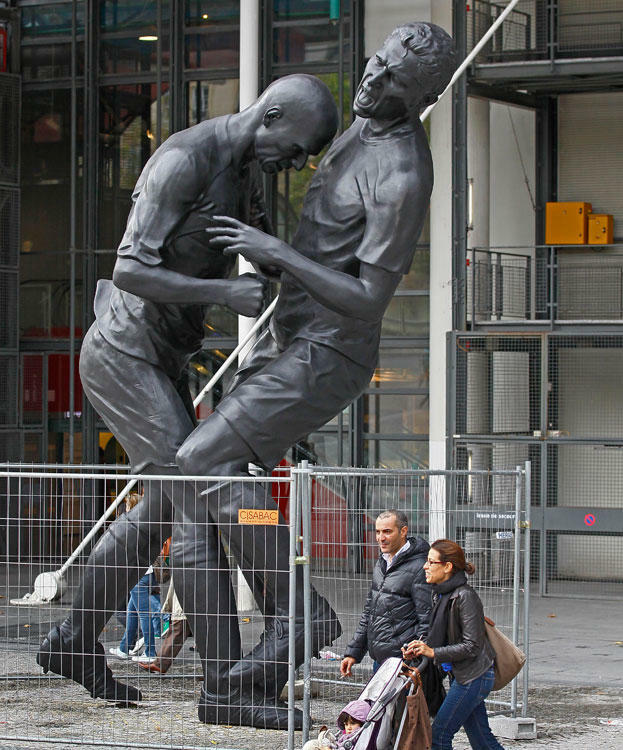 So, they put up a statue in Paris of Zidane head-butting that Italian bird. Why? Wasn’t this a moment of national shame for them? Why put up a friggin’ statue? Don’t. Get. It. Holy crap! Look how huge it is! The French are assholes. This entry was posted in ART, Soccer and tagged zidane, zidane statue. Bookmark the permalink.